To say my life over the past few years has been a roller-coaster is no understatement, yet how many people would say differently about their own lives? It’s true, that for periods of time, life seems to just amble along through the familiar landscape of work, family life and sleep. But there is always something, just over the horizon or round the next bend, a new vista that breaks either the monotony or comfort zone of our semi-concious meandering through life. There is a mountain on the horizon we want to climb to gain a better perspective of life or, just around the bend, we know of a valley we want to descend to enjoy it’s tranquillity. Of course not all new vistas turn out to be welcome. A different kind of mountain can unexpectedly appear and we find the path of life suddenly steep, rocky and so foggy we can’t see a clear way to the top and we wonder if we will ever reach the summit and find an easier path back to less troublesome times. Or that lush valley we see lying before us with it’s promise of plenty, it’s steadily flowing river offering to guide us and the sweet song of love filling the air and our hearts as birds fly all around, turning into a dark, tangled jungle of treachery that we fight through just to survive. And yet survive we do. We reach that mountain’s peak and see before us new possibilities, we clear the tangled jungle that our once orderly lives were thrust into and we find ourselves upon a new path that we can, once again, amble along in contentment or mediocrity until a new vista opens up before us and we continue on a journey that is only in part our choosing. My own life has been very much like this. There have been mountains I wanted to climb and mountains I have had to climb, There have been valleys I wanted to walk and jungles I have had to fight through. There is nothing new in this. We may use different metaphors to describe the roller-coaster of our lives (I am a hiker so mountains and valleys are intrinsic in my thought processes), but I think most of us walk similar paths. However, maybe the REASONS we walk our various paths are different? I have struggled for a long time to find a reason WHY I am walking any path let alone the path I currently walk. Sure I choose some mountains to climb. some valleys to explore to add colour, texture, some variety to my otherwise familiar meanderings, but WHY am I on the path I am on? What is it’s purpose? Over the years there have been many mountains and valleys on my journey through life, each one giving purpose for my walk at the time I climbed or descended and yet none offered a reason as to WHY I am walking in the first place. 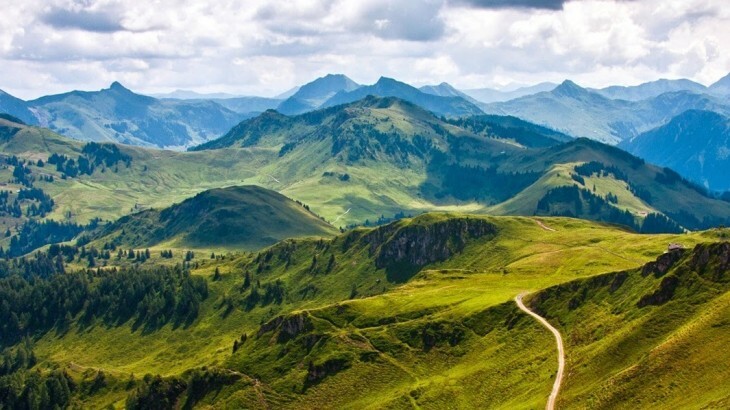 School, relationships, marriage, children, divorce, careers, births and deaths – all are examples of the mountains and valleys we experience on our life’s path. Some we choose to experience, others are not, and no mountain lasts and no valley endures, but the path continues. I don’t know the purpose of my journey, the reason why I am walking this path through life. My faith offers some clues as to preparing for the Long Walk of eternity, yet trying to reconcile the everlasting path that my belief offers with the short path my mortality guarantees is difficult. One thing I do know is that no mountain path or valley walk, whether chosen or not, is THE path, they are simply vistas along the way, side trails giving respite or purpose before we continue once again on our personal path of life. The high peaks and low passes, the side trails we encounter, all offer opportunities to see different vistas, to encounter other walkers as they climb their own mountains and walk their own valleys and sometimes we climb and descend with others we meet along the way. But the path is ours alone no matter who may walk awhile with us along its course. Lately I have stopped looking for the reason I am walking my path, stopped trying to find its purpose. Instead I am content to put one foot in front of the other, to accept whatever the trail offers and simply enjoy the hike. As a long distance walker it has always been the actual walking that appeals to me with mountains, valleys, rivers and passes being interesting things to experience along the way, but the actual WALKING is my passion. I am happy to hike 30+ mile days with only brief rest stops before darkness descends and I pitch for the night. I am happy taking in the scenery as I walk – only stopping when a vista is so breathtaking it demands a brief respite (and coffee!) before I continue to eat the miles. I am happy simply walking the path. 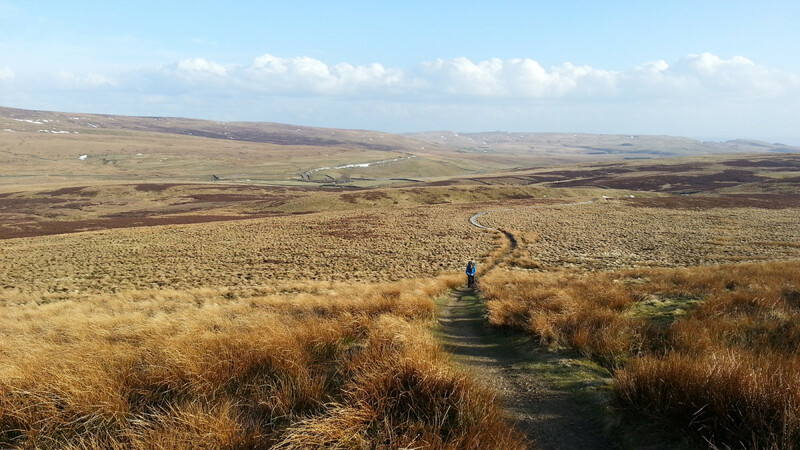 ...on Hiking, Feature, My Thoughts musings, Pennine Way, ramblings, thoughts, walking. permalink.